Children have it good these days. There’s always beautiful art to hang on the walls (courtesy of their parent’s good tastes, of course). 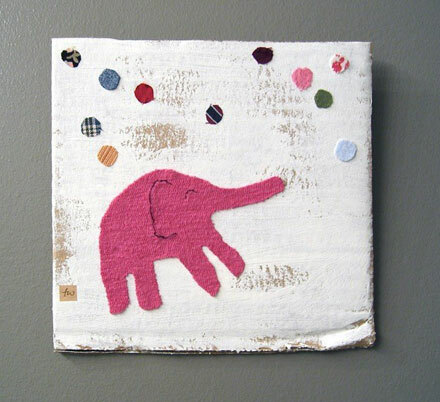 This original mixed media piece from Tine Wiggens grabbed my eye with its tactile quality, and I just love how simple it is. Children are very cute, a lot of artistic cell.